Although there are thousands of African LANGUAGES, most of the systems used to record them originated outside the continent. A number of factors determined the writing system chosen for each language, including which system seemed to fit the language best and various social and political reasons. There are two basic types of writing systems: logographic and phonetic. The symbols in logographic systems represent whole words or morphemes, units of language than cannot be broken down into smaller meaningful parts. An example would be “most,” such as in the words “mostly” or “almost.” Phonetic systems are either syllabaries, in which symbols represent whole syllables, or alphabets, in which each symbol represents a single vowel or consonant. Most African languages use phonetic writing systems. Roman script, the writing system used by English and many other European languages, is the most common script in Africa. It was spread throughout the continent by missionaries and colonial rule. European missionaries prepared the first written forms of many African languages. Later, European nations established colonies all over Africa and held power there for many years. 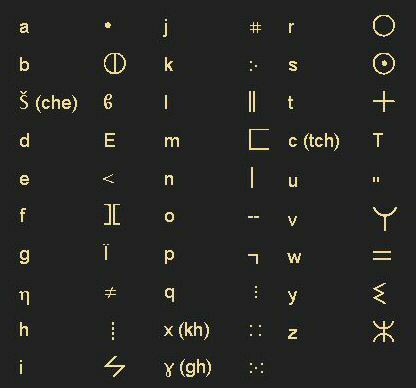 In most places where the Roman script was introduced, it eventually replaced any previous writing systems. In most cases, administrators, educators, and publishers all preferred Roman script, which in turn influenced the general public. Roman script tends to have fewer and less complex symbols than other scripts, which gives it a real advantage over the competition. In areas of Africa influenced by Arab culture, Arabic script is often used for writing. The SWAHILI language, the official language of TANZANIA, developed after A.D. 700 when Arab traders mixed with East African populations. Many Swahili-speakers use an Arabic script for writing. Very few indigenous African writing systems remain in use today. Among the most widely known are alphabets for Somali, WOLOF, Kpelle, Mende, Vai, and Bamum. Most of them developed in the late 1800 and early 1900s. According to their inventors, both the Vai and Bamum scripts were inspired by dreams. The shapes of the characters they use are unrelated to either Roman or Arabic scripts. Wolof uses characters similar to Arabic, but some of the pronunciations are different. When Africans embraced foreign writing systems, they adapted the scripts to fit the specific needs of each different language. They had to make numerous adjustments. Many African languages are tonal, meaning that the words must be pronounced at specific pitches to make sense. However, very few writing systems indicate tone. In addition, a foreign script may contain symbols that represent sounds not used by the African language, or it may lack symbols for certain sounds in the African language. Some African societies have avoided the problem of such symbolic differences by basing their writing on standardized writing systems. These systems are specifically designed to be able to express a wide variety of languages. They include the International Phonetic Association system and the International African Institute’s Africa alphabet.